SEP and personal IRA contributions can exist in the same account. 2. Can an LLC Contribute to a Roth IRA for the Owners? 3. Can I Have a Self-Employed 401(k) & a Roth IRA? A small or medium-size company can offer its workers a simplified employee pension as a retirement plan. With a SEP IRA, your employer contributes directly to a traditional individual retirement account owned by you, in your name. While the Internal Revenue Service treats SEP contributions separately from those made to a personal IRA, it allows employer contributions to your traditional IRA. However, your employer or financial institution may not. When your employer establishes a SEP plan to make tax-deferred contributions to an IRA on your behalf, it must make arrangements for each eligible employee to set up a traditional IRA to receive the funds. You must have a such an IRA in your name to receive your employer's contributions. Under IRS rules, your employer directly deposits contributions into this account -- you can't contribute to a SEP IRA. 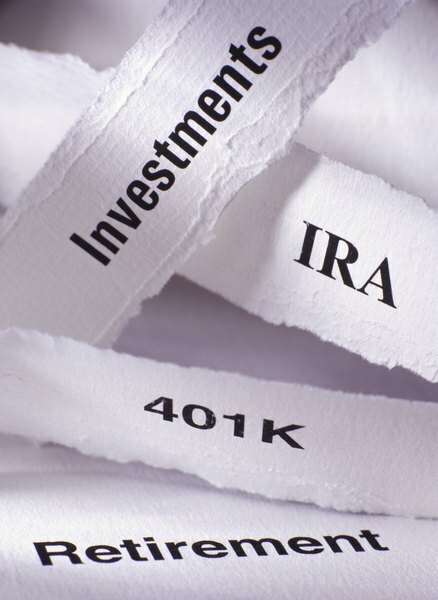 You can only use a traditional IRA for your SEP, not a Roth account. The IRS allows you to commingle SEP and traditional IRA funds in the same account. However, if you have an existing traditional IRA, your financial institution may not allow your employer's SEP contributions into that IRA. Alternatively, your employer may designate a particular financial institution in its SEP plan documents at which all employees must establish their SEP accounts. In this case, you couldn't use an existing traditional IRA. Check with your financial institution and your SEP IRA plan documents to confirm the rules for your situation. The amount your employer contributes to your SEP IRA doesn't affect your yearly contribution limit to your traditional IRA. This means your employer can contribute the maximum allowable contribution to your SEP IRA and you can contribute the maximum personal contribution to your traditional IRA in the same tax year. As of 2013, the maximum contribution your employer can make into your SEP IRA is $51,000 or 25 percent of your compensation, whichever is less. The tax-deductible amount of your contribution shrinks as you approach personal income limits. If your employer contributes to your SEP IRA, you are married filing jointly and your income reaches $115,000, your traditional IRA contribution isn't tax deductible. One concern with commingling your company's SEP IRA contributions with your personal IRA contributions in the same traditional IRA account is tracking. The SEP contributions and your personal deductible contributions build up tax-free until withdrawal or conversion to a Roth IRA, when you pay taxes on the amounts withdrawn or converted. However, any nondeductible contributions you make are considered after-tax. When you withdraw or convert funds, you don't pay taxes on your nondeductible contributions. IRS: Can SEP Contributions Be Deposited Into a Traditional IRA?